The only colour and material we had definitely decided on last week was for the flooring – after eliminating about 16 pale wood-effect laminates from our kitchen shop samples, we finally chose a really good one. Of course, we then went to Bunnings to buy it and they only had a choice of 3, all of which seemed quite different. Anyway, the palest was on special offer (it was also the thinnest – anything to increase our head height!) so we bought 60 kg of it and Paul made a start yesterday morning. Overall it was fairly straightforward. There’s a layer of insulation on the bottom, then hardboard, then another layer of insulation (all to reduce the noise) and the laminate goes on top, the planks locking together. The difficult bits were cutting around the wheel arches and the gear box at the front, which resulted in a completely blunt jigsaw blade at the end of the day, but it looks great now it’s finished. 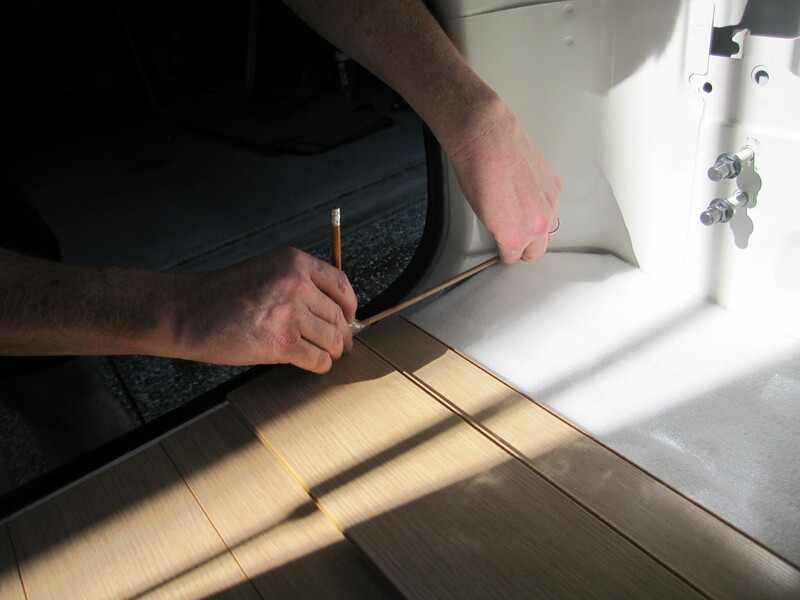 Also, this is Paul’s ingenious new tool to draw the curved shape on the wood. Are you reading this, Dragons? Theo – surely a winner in the retail market? 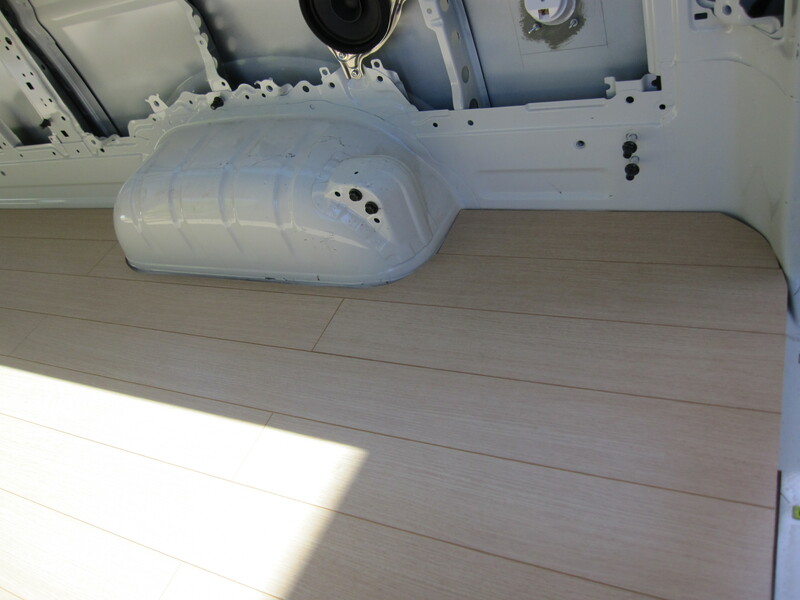 This entry was posted in Building a diy campervan, Camper flooring and tagged Campervan conversion project, Converting a campervan step-by-step, DIY campervan, Dragon's Den, flooring insulation, ingenious new tool, jigsaw blades, laminate floor, lovely oak floor, Theo Paphitis by Rach. Bookmark the permalink. Come on Paul – why is it taking so long? Don’t want to break it to you but I think Theo might know about it Rachel, they already sell pencils at Rymans. It’s not a pencil!! 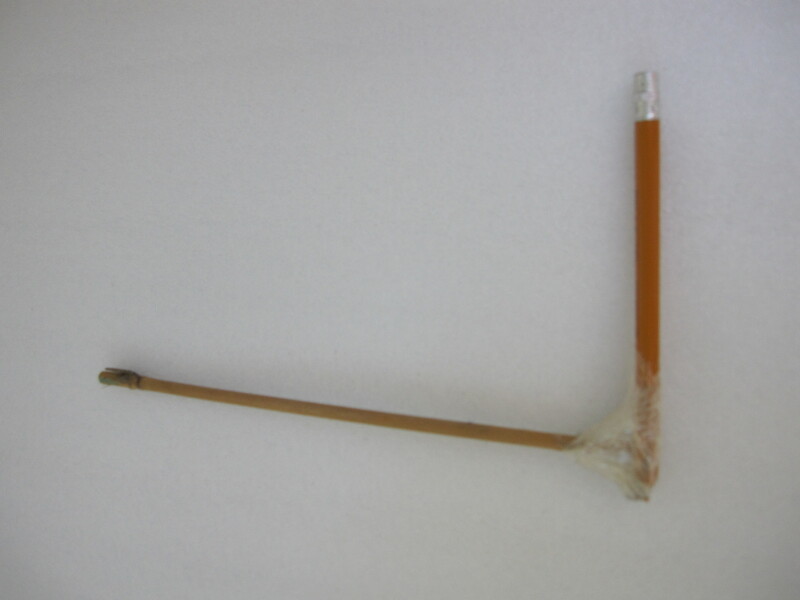 It’s a unique lead-activated measuring device – have some vision Alice. I know this post is old but we are about to do the same vehicle. Looks good. Any chance of having a look ? Hi Allen, thanks for your comment! Where are you based? Hi Mandy – thanks for your kind comments! We just insulated the floor and the ceiling, and that’s done a great job of keeping the heat out – it’s never been sauna like even in the height of summer. We didn’t worry about the walls because there are so many windows in a Hiace Commuter, there’s not actually much wall to insulate. 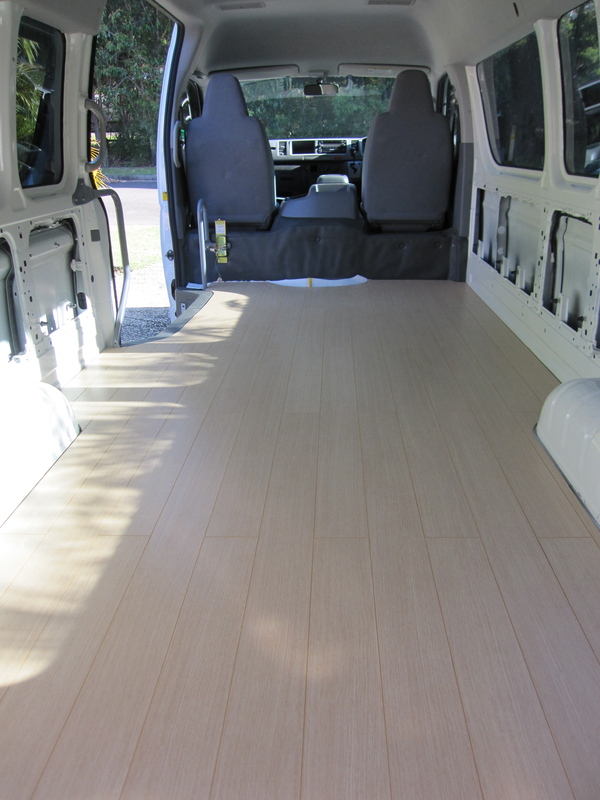 We used the standard insulation that Bunnings recommends for laminate floors – on both the floor and the ceiling. Hope that helps – good luck with your project! Hello Rach, we just did the same conversion as you. 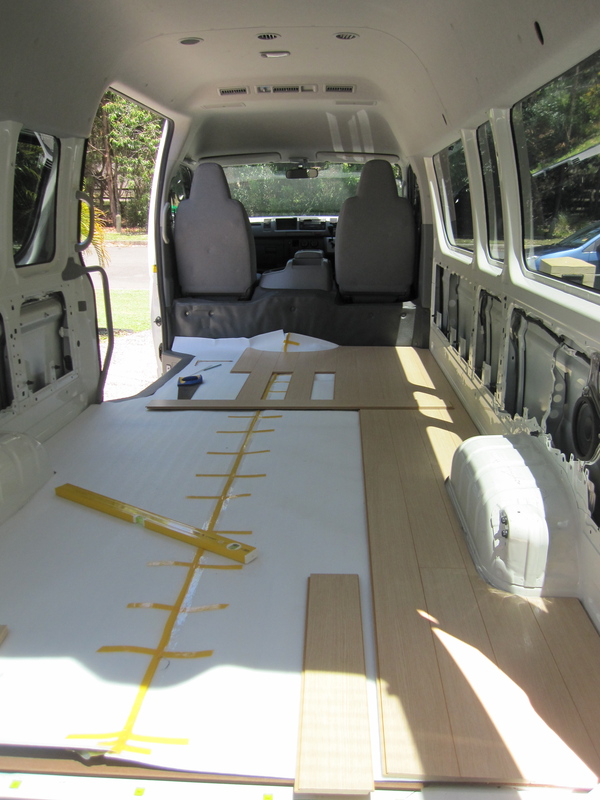 How did you go with the engineering certificate for change of use for the campervan ? We tried to keep weight down with a steel frame cabinets and bed and using light material for the cabinets. All the cabinets have drawers, makes life a lot easier to find and store things. With the solar panels two batteries and everything we ended up with a total weight of 2490 Kgs. Yous must be up there with weight, Linen doors aren’t light. We are in NSW, I think you are QLD ? Thanks for your comment and sorry for the delay responding! We’ve only registered our camper as a two-person van at the moment, rather than a campervan which has kept costs down. We’re well inside the weight capacity, although had to be mindful which side of the van to install the various tanks so it all balanced out. Our water heater works brilliantly, but I’d love to install solar panels at a later stage – do you find they work well? Do you think you will have an insurance problem if you have an accident and they see that it’s a campervan ? Insurance companies look for a way of not paying. The solar is a must for free camping. The two 100w panels are the biggest I could fit but since then our supplier has shown us the same panels made onto an aluminium backing. No frame so that they just stick straight onto the roof with no holes. Plus they only weigh 2.8Kg. With the two batteries we don’t need power at all. If it’s raining continually for days we move and the drive charges the batteries. Yes, it does mean only the van itself is insured rather than the internal fixtures. The solar panels sound a great idea – we always seem to end up in a campsite but I can really see the appeal of free camping – it’s just finding more time to get away! We are self employed and know what it’s like to find time to get away. At the moment the Hiace suits us so we can go up or down the coast for a weekend. Thanks very much! We used a thin layer of masonite underneath the flooring, Paul thinks it was around 3mm. Hope that helps!